Two AMIT graduates shared their experiences with guests – and gave a musical performance – at a recent reception in Englewood. Romi Berlin and Chaim Siton are graduates of the AMIT Bienenfeld Hevruta Yeshiva, a school for boys who have not succeeded in the regular Israeli school system. AMIT Bienenfeld offers a nontraditional curriculum, encompassing major courses of study in music, sports, environmental studies, and animal training and therapy. “Everything I have today grew out of AMIT Bienenfeld Hevruta Yeshiva,” said Berlin. He was a member of the first class admitted to AMIT Bienenfeld, where he majored in music. After graduating, he served for three years in a combat unit of the Israel Defense Forces. Married and the father of two young children, he plays the guitar and sings in a band, which he formed when a student at Hevruta. He also works as a “medical clown,” visiting hospitals and senior facilities, and has taught sound-engineering at his alma mater. “I feel that I am a great example of someone whose future has been made possible directly from relationships that I made at Hevruta” added Siton, also a member of the first graduating class of AMIT Bienenfeld. The son of a psychologist, he had difficulty in more traditional school environments until entering the music program at Hevruta. Today, he plays the piano, bass guitar, and flute, as well as sings, all talents he discovered and developed at AMIT Bienenfeld. Playing in a band with fellow Hevruta alumnus Berlin is his full-time job. Married and the father of 2-year-old Roeh, Siton served as a paratrooper and commander in the IDF. 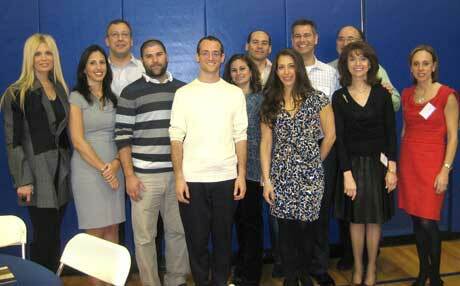 The AMIT Hevruta Yeshiva is one of many schools in the AMIT network with a special focus. Some 70 per cent of AMIT students cope with educational, psychological, economic, and/or social risk factors. Founded in 1925, AMIT operates more than 75 schools, youth villages, surrogate family residences, and other programs, constituting Israel’s only government-recognized network of religious Jewish education incorporating academic and technological studies.